After identifying a novel reaction, the time consuming and often tedious process of reaction optimization begins, followed by substrate screening. While microscale reactions can be performed in parallel using a heating block, some reaction parameters cannot be adjusted easily in this format, consuming precious time for manually performed, sequential reactions. 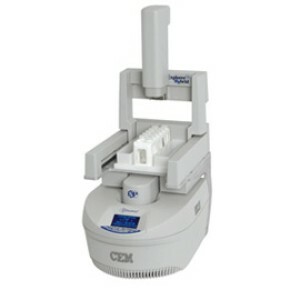 To overcome this process the CEM Explorer auto-sampler was developed, allowing researchers a more efficient way to survey and improve their chemistry. 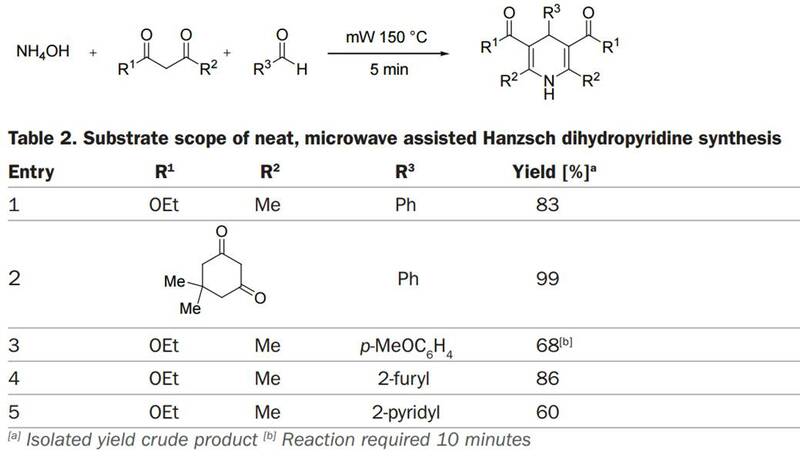 Varied 1,4-dihydropydirines were synthesized in moderate to good yields in a “hands-free” fashion, using the Explorer autosampler to run this small library of compounds in under an hour. Autosampler for sequential chemical synthesis. Does not include Discover SP microwave reactor.